After spending some time overseas in Philippines with family this past November, I also took some time to work with a few local restaurant chefs to deepen my love of Filipino culture and cuisine. As a result, I'm offering a special dinner and extending an invite to LTHForum members to share some Filipino favorites. Hope to see some familiar and new faces! Join us for another delicious Filipino dinner where Chef Joelen Tan of What's Cookin, Chicago will take you on a culinary journey through the tropical flavors of Philippines. 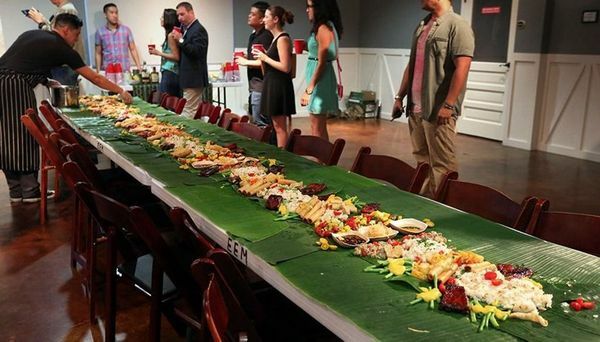 This is unique family style dinner event which will be served as a kamayan, a native way of eating in the islands - perfect for the summer! Attendees are also welcome to BYOB. Limited seating is available so reserve your spot early! Tickets are $43.19 (with Eventbrite fees) for an all-inclusive dinner that includes the menu of appetizers, cocktails, kamayan menu and desserts listed below.... and BYOB is also welcome!